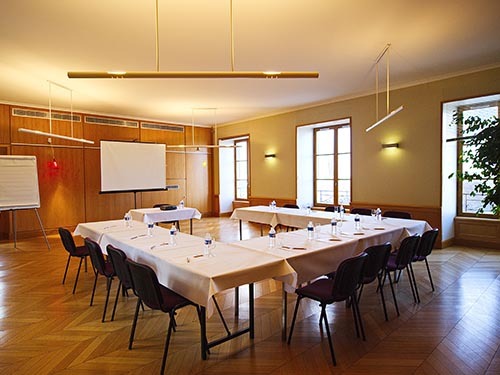 You would like to organize a seminar, conference, business meeting or private event? We have at your disposal an exceptional spot with the best welcoming conditions. At the top of a rocky peak, the House of Sancerre, a building full of charm dating back to the 15th century, offers a breathtaking panorama of the Sancerre vineyard by providing two spaces for rent and a team to your care. With a capacity for 50 people in a theater configuration, this room benefits from an exceptional panorama over the Sancerrois vineyard. 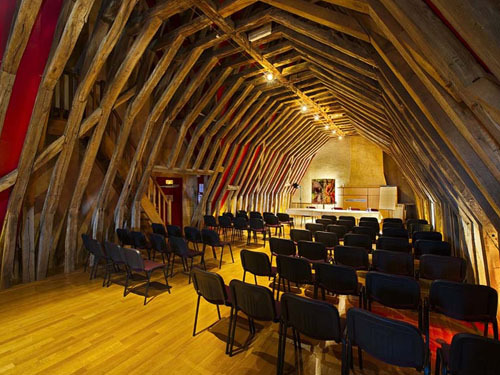 This room offers a unique cachet since it is located underneath the “reversed nave” roof structure of the building, allowing to accommodate up to 100 people. 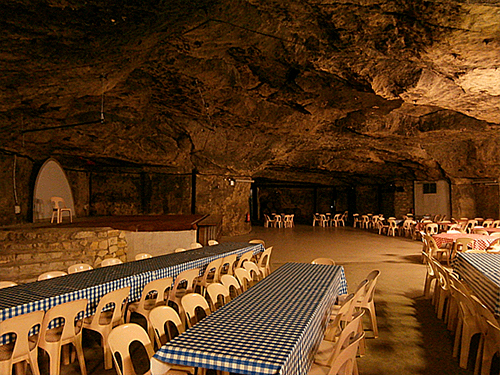 Becoming over time an emblematic place of Sancerrois, the Caves de la Mignonne host several events today. 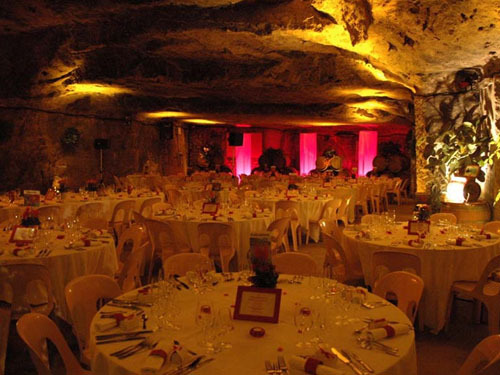 These cellars are available all year round for your meetings, seminars, exhibitions or private events. Dehumidified and heated for your comfort, the cellars will give your events a unique and distinguished standing. With a capacity for 1000 people, the Mineral Hall has access to a bar, kitchens and a large space with the traditional cellar clay hardened floors from the region. You will be able to host a large number of different events. Can accommodate up to 500 people in a theater configuration. The Original Hall is ideal for hosting your wedding, business lunches, concerts, theatrical performances… Heated all year long, the extraordinary setting offered by this space will amaze your guests. Plan your seminar to your liking with our different packages. Spaces set up and installed as instructed, with all the necessary equipment: Wi-Fi, screen, video projector, flip chart, mineral water, paper, pens.